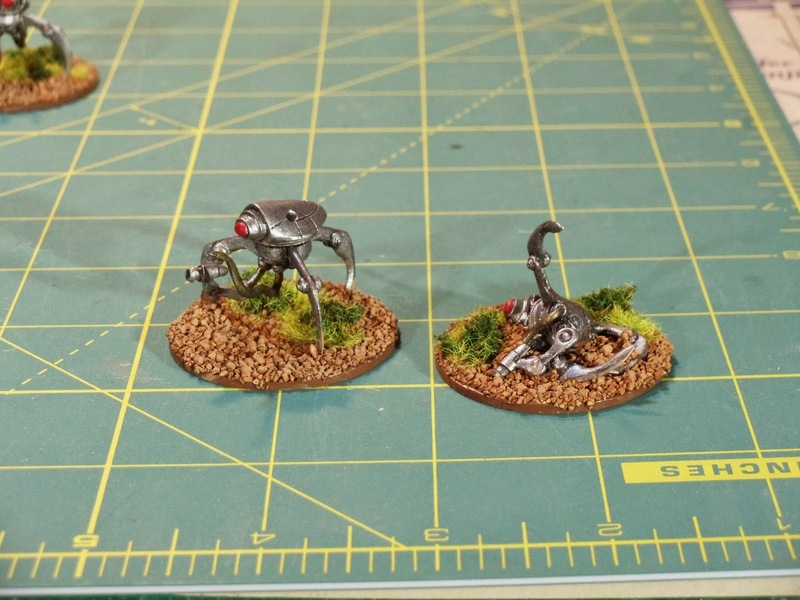 This week I finished up a large lot of Martian drones for All Quiet on the Martian Front. This is 6 units of drones (3 per unit). You'll notice one of the drones at the back seems to be on it's side. This drone had a miscast body, half of it was missing. So instead of trying to get a replacement for the one body, I've done the drone up as a destroyed drone. This concludes the Martian side of forces for the MayDay game. So now I just have to complete the Land Ironclad for the human forces. 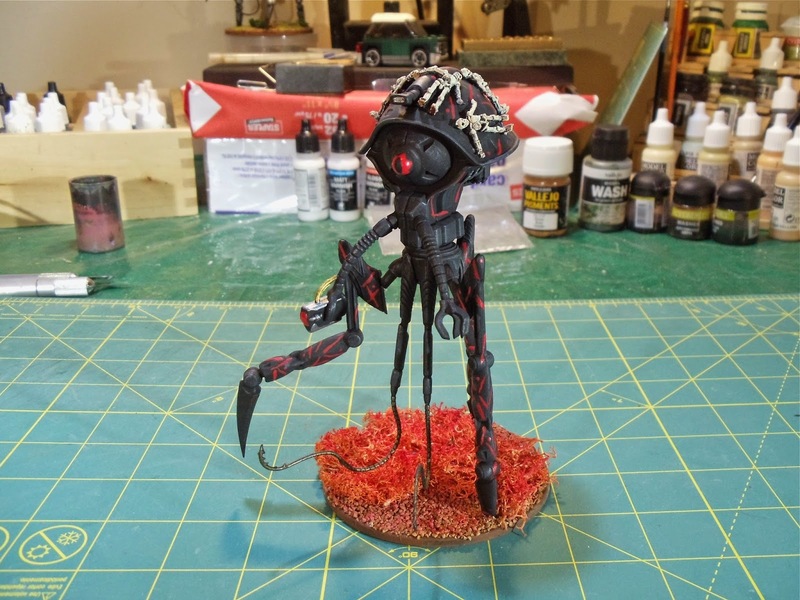 A quick update, tonight I finished the Red Martian for All Quiet on the Martian Front. The Red Martian is different from all the other Martians in that he/she/it is rather psychotically deranged and hence has a distinctly different paint scheme. Instead of glittering metal it's matt black and covered in red markings. Oh, and can't forget the human skeletons draped over the hood. To further make this tripod stand out I changed the basing to have 'red weed' on it as opposed to the regular terrestrial shrubbery. Up next will be half a dozen units of drones, they're almost finished so they should be along shortly. After that is a DBA army for the MayDay auction and the Land Ironclad. 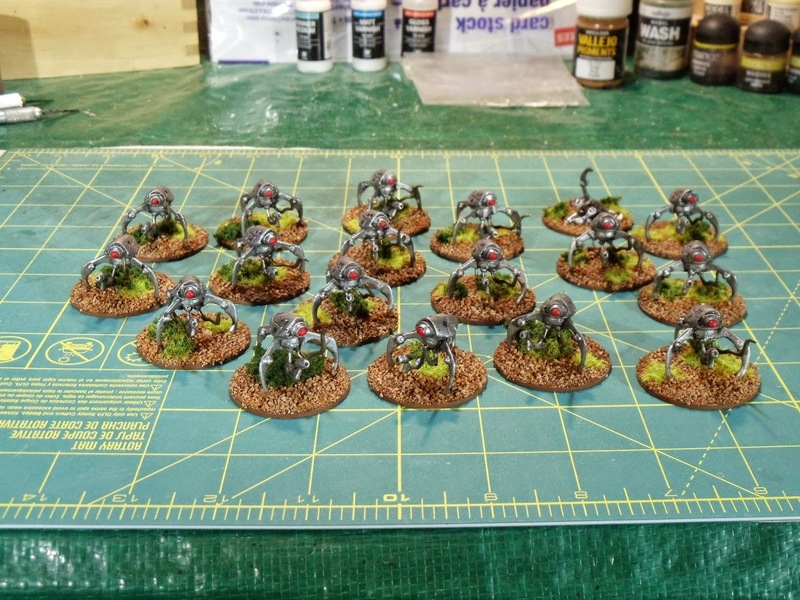 Tonight I finished up some more Martian tripods for my All Quiet on the Martian Front force. 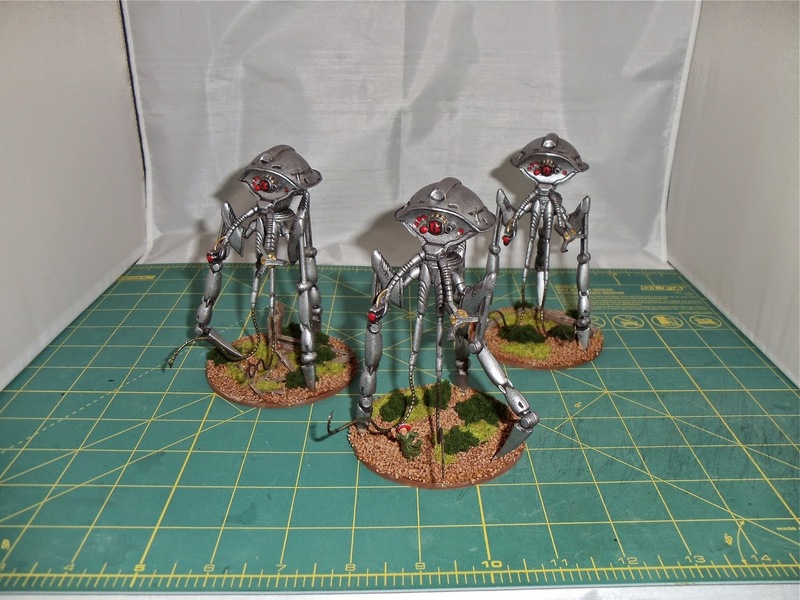 First up is a trio of plastic Scout Tripods. 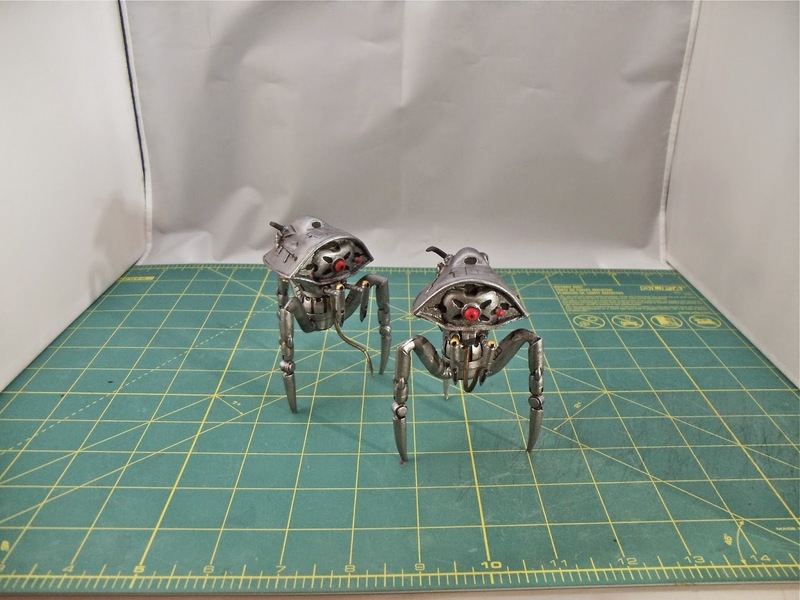 Next up is a pair of metal Slaver Tripods. Decent looking figures, I expect their existence on the battlefield to be measured in seconds. These 2 lone tripods control all the Martian infantry - drones and lobototons. Any human player with half a brain will take these out immediately which will take out all the infantry. A critical flaw in the Martian forces. Up next will probably be the Red Martian.